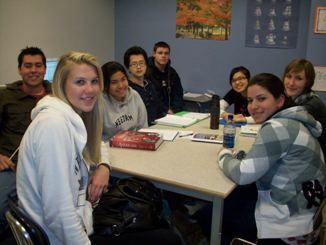 About us: The ELL program in Needham serves approximately 55 students from 17 countries who speak 23 languages. While the majority of the students are immigrants or children of immigrants who have made the U.S.A. their permanent home, other students are here with parents who come from other countries to study, teach or do research for a year or two. Each year Needham families also host a few exchange students who attend Needham High School. Purpose: To provide instruction in English language development and content area support to students whose native language is not English, and who as a result cannot perform ordinary class work at their grade level. Eligibility: At registration, a student's parent or guardian fills out a Home Language Survey. If the survey indicates that a language other than English is spoken in the home, the student's English proficiency is assessed. The student is identifed as an Engish Language Learner and is eligible for ELL services if the assessment results indicate the student has limited-English proficiency. Instruction: ELL instruction in Needham is inpidualized according to each student's English language and other academic needs. ELL staff work on developing students' ability to understand, speak, read and write English. They also consult with students' other teachers in order to support and reinforce work in the mainstream classroom.